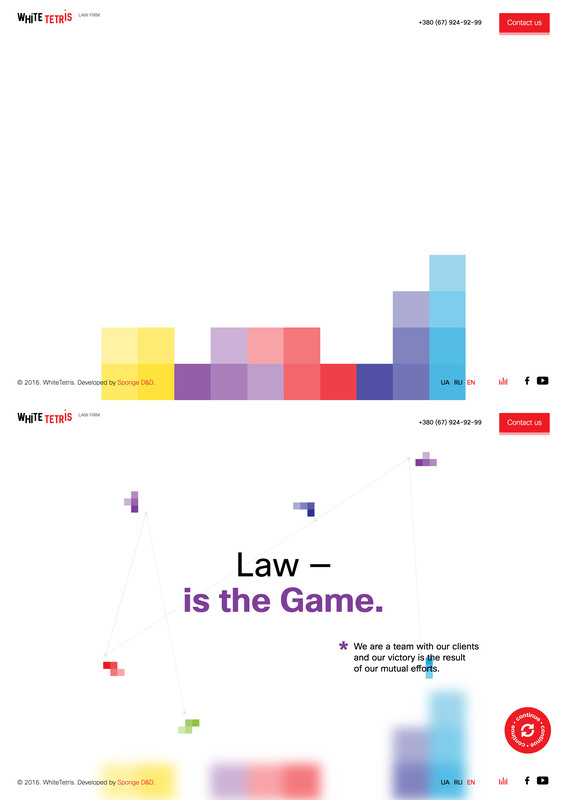 Real unique One Pager for a law firm called ‘White Tetris’. The Singe Page website features a fitting Tetris-theme animation between service highlights. White Tetris - unusual law firm. It's not inflate the problem of universal scale trifle. The problem will be resolved in good faith customer with consistent collection of parts until the process is completed. What is our life, it does not play? To get the most affordable and understandable differences and promotional services company, we have created a video game with the right balance between theses and graphics. Let's play?